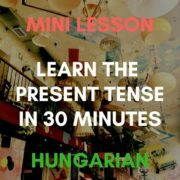 Mini Hungarian Lesson - Everything You Need to Know about "Meg"
1. “Meg”: A Word or a Prefix? As you might’ve noticed already, you can find “meg” either as a stand-alone word in a sentence (word with a definite meaning) or as a prefix, mostly (but not always!) attached to a verb. Since explaining “meg” as a detached prefix would go beyond the scope of its article, we’ll show you all usages of “meg” as a single word in its own right. In all other cases when you see a lonely “meg”, note that it will be part of the verb of the sentence. Now let’s get to the practical part and see some examples for all kinds of “meg”s! “And” (similar to “és”) – In a series of items: “alma, körte meg barack” – “apple, pear and peach” or in the case of special emphasis: “újra meg újra” – “again and again”; “ezer meg ezer” – “thousands and thousands”. Te meg mit keresel itt?! – What are YOU doing here?! Ő meg mit csinál?! – What is he/she doing?! Both questions might as well be answered with “igen”, but oftentimes are answered with simply repeating “meg”. In many cases, you will find “meg” at the beginning of a word, attached to what you thought you already knew and ask yourself, what the hell it’s doing there and what it means. The bad news is, there are myriads of applications of “meg” and to explain all of these would go beyond the scope of this article. The good news is, that most of these applications are rarities which you won’t encounter probably ever. So lets’s focus on those you will deal with frequently. The most important thing to remember about “meg” as a prefix is, that in most cases it indicates that something is, was or intends to be completed, accomplished, finished and done. Note that you can literally add “meg” to the beginning of lots and lots of words in the Hungarian language to slightly modify and enhance their meaning. Good news is: You don’t necessarily have to. 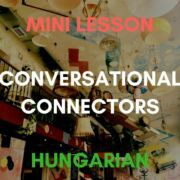 You can speak perfectly understandable Hungarian, even if you don’t add the “meg” in the following cases. Therefore, these examples aim to make you understand “meg” the next time you’re reading or hearing it. *Note that “Keresem a kulcsom” would also be correct, but it suggests uncertainty – you are not sure that you will find the keys anytime soon. to be bored of sth. – un vs. megun – both express the boredom of something, but once you “megun” something there is no way back; it is a more permanent state of being over with something. “Unom a munkám” – “My job bores me.” vs. “Meguntam a munkám.” – “My job bores the hell out of me and I’ve so had it with it.”. to eat – “eszik” vs. “megeszik” – Both mean to eat, but “megeszik” is to eat something up – finish it. to arrive – “érkezik” vs. “megérkezik” – “Érkezik” is the process of arriving, while “megérkezik” is the final arrival -the action is done. to push, to press – “nyom” vs. “megnyom” – “Nyom” rather stands for pressing and squeezing, than pushing, like when your shoes are too tight and are pressing your feet. You would use “megnyom” for pushing a button and calling the elevator – an action that only lasts for a few seconds. 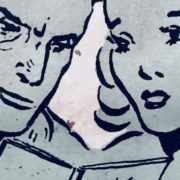 to know, to get to know – “ismer” vs. “megismer” – When someone or something is already familiar you would use “ismer”, while “megismer” stands for just getting to know or meeting someone or something – the beginning of the process of knowing. to hold, to grab – “fog” vs. “megfog” – If you’re in the process of holding something, you go with “fog”, while grabbing something – the beginning of holding is expressed by “megfog”. to see – “lát” vs. “meglát” – You “lát” something if you’re seeing it in the form of a longer process, while “meglát” indicates to starting to see someone or something – to recognise it. beszél vs. megbeszél – to speak vs. to agree on sth. köszön vs. megköszön – to greet so. vs. to thank so. “Nem csináltam meg.” – “I didn’t finish it.”: “Megcsinál” gets split up in “csinál” + “meg” in the case of a denial. To deal with these would go beyond the scope of this article and will be covered separately and together with the other prefixes. 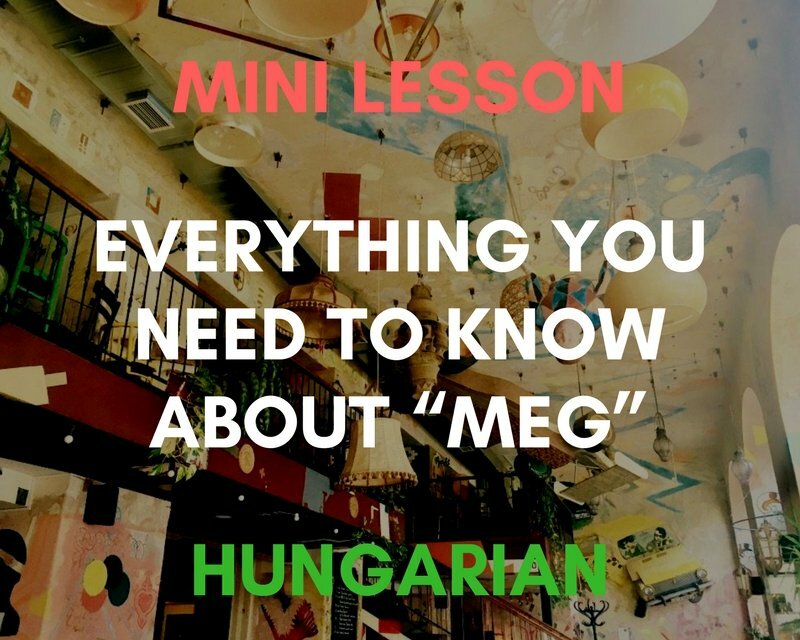 We hope that our mini lesson genuinely helped you to understand “meg” a little bit better. Please let us know in the comments if we have left anything open or if any of its usage isn’t clear to you. We’ll do our best to help and we also encourage you to help each other in the comments, if you know the answer to anyone else’s question. 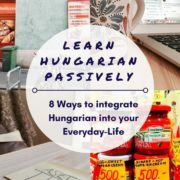 Learn the Hungarian Alphabet in 4 Easy Steps! 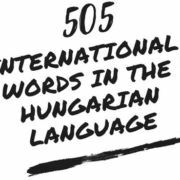 Learn the Hungarian Numbers in 9 Easy Steps! 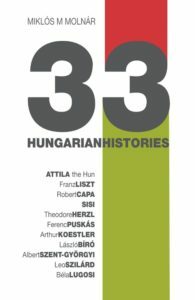 https://www.catchbudapest.com/wp-content/uploads/Meg.jpg 640 800 catchbudapest https://www.catchbudapest.com/wp-content/uploads/cbp_logo_dolt_fekete_karika_vastag-s.png catchbudapest2018-02-16 12:16:192019-04-09 00:58:49Mini Hungarian Lesson: Everything You Need to Know about "Meg"
Thank you Joyce!! :) Yes, indeed, I just used the “hirtelen” (“suddenly”) to emphasize that “megláttam” is something that happens with a bit of a surprise effect, as opposed to “láttam”. Enjoyed this article. Since nothing exists like this in English it’s just another new concept that has to be worked out. None of my teachers has ever discussed this, probably because it’s difficult to explain. This really was a great explanation of the ubiquitous and yet elusive “meg”, the bogey-man for this Hungarian learner. I learned a lot of useful basic words that I didn’t even realize I was missing until reading this article and I can’t stop saying “Megnyomom a gombot” very fast.